Losing a relationship is a very painful experience at any age, but several factors can intensify the distress when separation occurs in later life. Older men may feel pessimistic about the possibility of forming a new relationship. They may also feel overwhelmed at the prospect of having to make a ‘new start’ late in their lives. To cope successfully with late life separation, it is critical to seek out help and support from professionals, friends and family. Trying to ‘tough it out’ on your own places you at great risk of depression and other mental and physical health problems. Even the end of a bad relationship is a loss. It’s not only about the loss of that person and their company. There may be social losses (friends you shared who you lose after separation), financial losses, and, no less importantly, the loss of ideas: ideas about who you are and your place in the world, and how you thought your life was going to look as you grew old. The natural response to loss is grief, and everybody experiences grief differently. There is no way ‘right way’ to grieve and no time at which you ‘should have gotten over it by now’. It is far better to accept the pain of grieving than to deny it or repress it. Sharing your emotions with friends, family, or a counsellor can lessen the load. Managing loss is a process of allowing the feelings of sadness to come and go, respecting the fact that these feelings are normal and healthy. Avoid unhealthy coping strategies such as drinking or playing the pokies to numb the pain. It may make you feel better in the short term, but the longer term effects are not worth it. 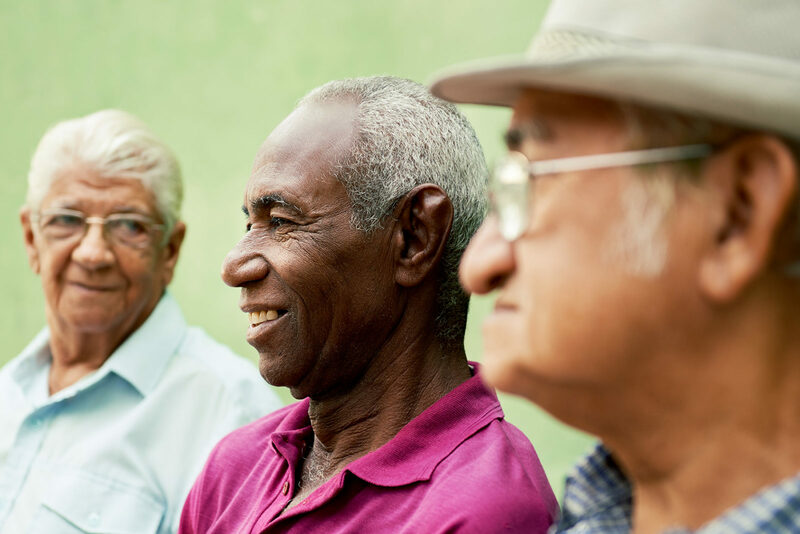 Social isolation is a risk for all older people, and it is an even greater risk for separated older men. Many men rely on their wives to be the social ‘diary-keeper’; she is the one who makes the ‘keeping in touch’ phone calls and organises get-togethers. After separation you need to take up some of the slack yourself. Make a list of all your friends and regularly check in to see who you haven’t spoken to in a while. You may also need to make new social contacts, especially if the separation has resulted in your losing contact with some of the friends you and your ex-wife used to share. Use the internet – There are online communities for just about every possible interest, and while it’s not quite the same as face-to-face contact, it can help. If you’re feeling game, you could even try internet dating. Many seniors do! Be gentle on yourself. Social contact is important, but you don’t need to have a packed out social calendar. It can be as simple as getting in touch with one friend you haven’t seen in a while. Look after yourself physically: eat healthily and exercise regularly. Watch your thinking. Try to replace pessimistic thoughts with more positive alternatives. Focus on what you have rather than what you have lost. As long as you are alive, what you have still far outweighs what you don’t. Don’t let your lifestyle stagnate: get out and do something you haven’t done before. Take a class in something. Visit the museum or the art gallery. Don’t get drawn into power struggles or emotional wars with your ex. Relationship separation and divorce are among the toughest life experiences people can face, but there are ways to manage the loss and get life back on track.